For many, it's enough to simply create amazing redstone machines, but for others, the machine is only half of it. The other half is making use of it. 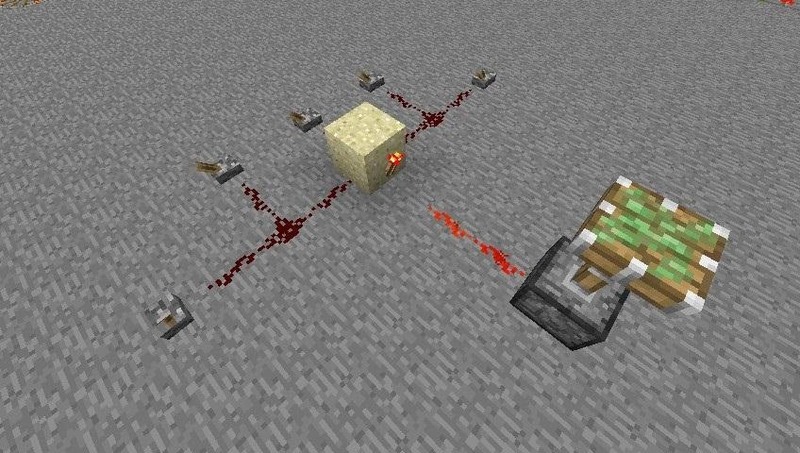 So, you have your redstone machine, and you can power it with a lever. You can even power it with two levers. Heck, if you're going nuts, you can even control more than one machine with the same lever. The problem, though, is that you only have so much space. Machines tend to get pretty cramped pretty fast, so odds are good that you only have one area for your switch to go. When that happens, it's time to use the power of the OR gate. An OR gate is any system that outputs power when any of the inputs are turned on. The picture below is the simplest OR gate: just a block with two levers on it. Turning any lever on will power the piston. Look at how simple that is! 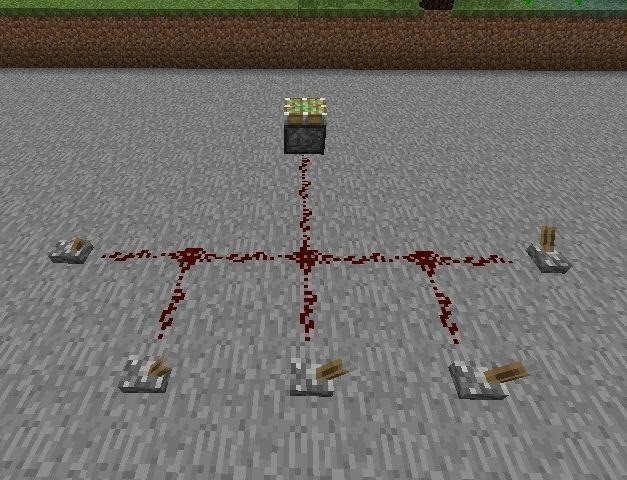 It's just a bunch of redstone wire on the ground. There are no blocks, no torches, nothing. However, any one of those levers will power the piston when turned on. 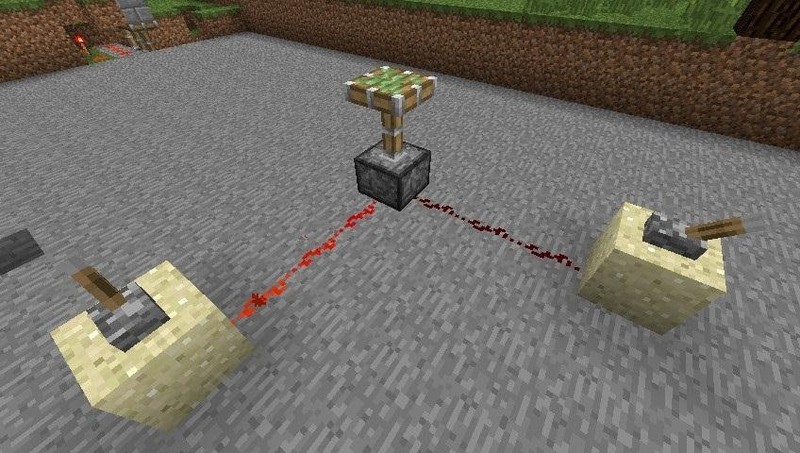 This principle works with any redstone machine, no matter how big or how small. The NOR gate is basically an inverse OR gate. 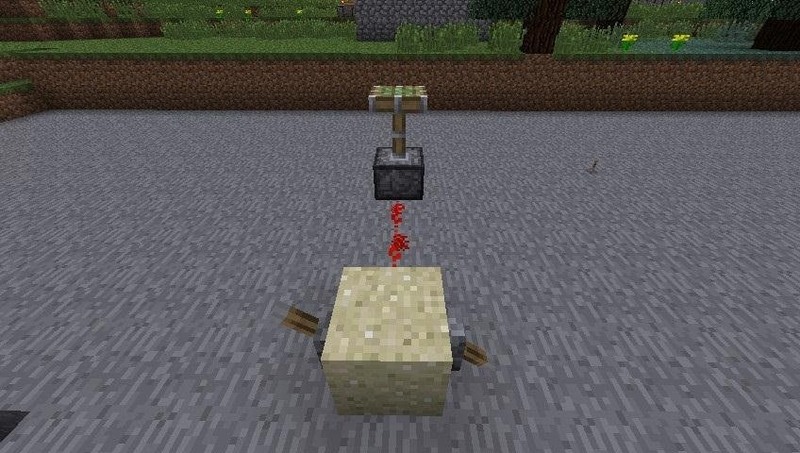 It's exactly the same setup, except there's a block with a torch on it. The only difference is that the NOR gate provides power when all of the levers are turned off, whereas the OR gate provides power when any of the levers are turned on. 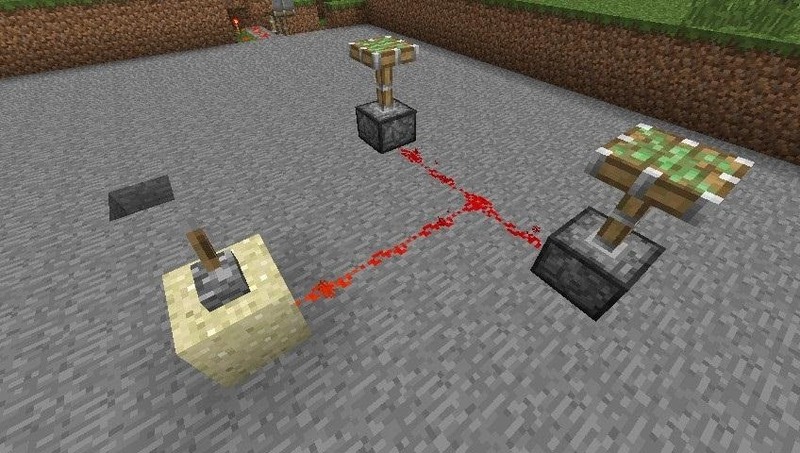 This is a really simply way to have multiple switches for any of your redstone machines, and using buttons in some places will ensure that you don't need to run around flipping switches if you leave one on by mistake!